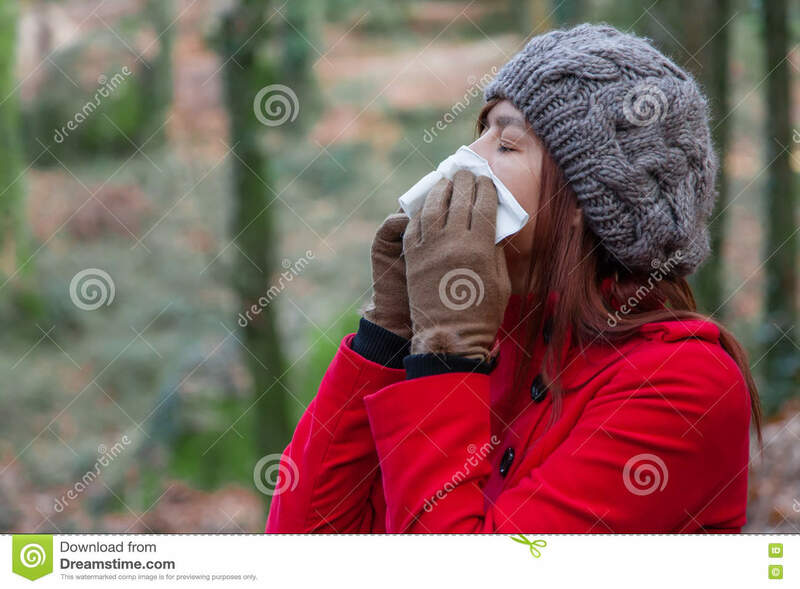 (RxWiki News) It’s getting chilly out and, just like clockwork, you’re back sniffling again. But before you write off that stuffy nose as just another cold, you may want to consider that the culprit could actually be winter allergies. Fortunately, there are steps you can take to tame your bothersome allergies. Winter allergies are similar to any other allergies commonly seen throughout the year. What makes them different is the allergen that causes them. During the winter, you are likely spending more time indoors. This makes you likely to be exposed to many indoor allergens, such as dust mites, indoor mold and pet dander. With low air ventilation during this time of year, the effects of the allergens are more severe and likely to cause an allergic response. Like most other allergic reactions, winter allergies develop from your immune system overreacting to allergens. Exposure to an allergen results in the immune system developing antibodies that attack these allergens in your body, resulting in various allergic symptoms, such as sneezing, itchy eyes and nose, runny or stuffy nose and postnasal drip. Keep the humidity in your home between 40 and 50 percent to reduce dust mites. Dust mites grow best where there is moisture. Because a great deal of time is spent in the bedroom, it is important to focus on reducing dust mite levels there. To do this, you can encase your mattress, box springs and pillows in special allergen-proof fabric covers. Aim to wash your bedding once a week in hot water (130° F) and dry at a hot temperature. Avoid down pillows and comforters. Try to minimize contact and keep your pet out of rooms where you spend a great deal of time, such as the bedroom. Furthermore, bathe your pets on a weekly basis and be sure to change your clothes, bathe and wash your hair after playing with your pet — especially before you go to bed. Remove carpeting if possible. Instead, use hardwood or linoleum flooring and washable area rugs. If you can’t remove the carpets in your home, use a vacuum with a HEPA filter. Turn on the bathroom or stove fan while showering and cooking to remove excess moisture. Install air filters that have a small-particle or HEPA filter. Adjust filters so the clean, filtered air is directed toward you while you sleep. Mop hard floors and linoleum flooring on a weekly basis. Treat your bedroom as an “allergy safe haven” by keeping pets, carpets, rugs and plants out. Immediately wipe down wet surfaces, especially in the bathrooms and kitchen, to keep mold from growing. If you are the one who is experiencing winter allergies, see if someone else in your household can do the cleaning. Aside from the tips above, you may need to treat your allergy symptoms with over-the-counter antihistamines and nasal corticosteroids. You have the option of using oral tablets, eye drops and nasal sprays — depending on your symptoms. Always ask your health care provider before starting a new medication. In some cases, your health care provider may prescribe you something to help alleviate your symptoms. Around the holidays, you must not forget about any food allergies you have. With many holiday parties and events, it is often hard to keep track of the things you eat. Always remember to ask about the contents of various foods. If you think you might be allergic to it, you are better off avoiding it. The fragrance of your Christmas tree may be irritating, or it may be home to tiny (microscopic) mold spores. You may suffer from the “Thanksgiving effect,” which is losing allergen tolerance to your pets when you leave them behind during extended holiday travels. Artificial snow or flocking can trigger asthma symptoms. 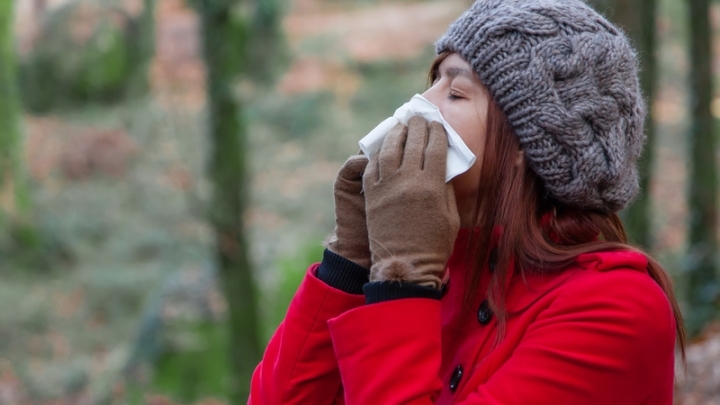 These are just a few tips to help lessen your winter allergies. Speak with your health care provider about your winter allergies, and see what is the best line of treatment for you.